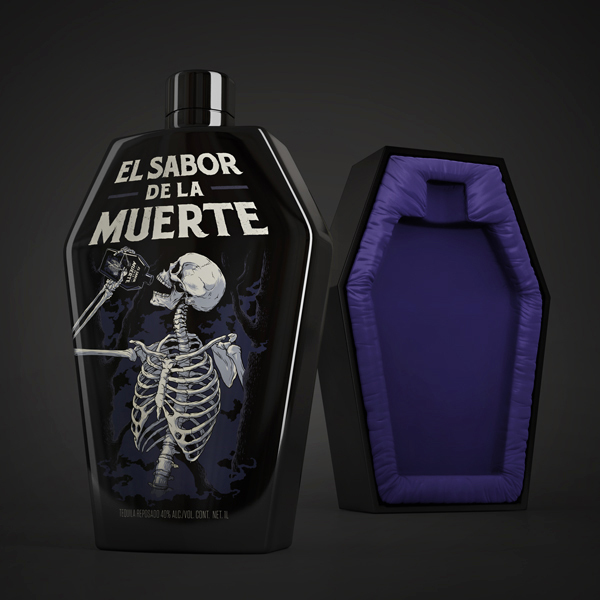 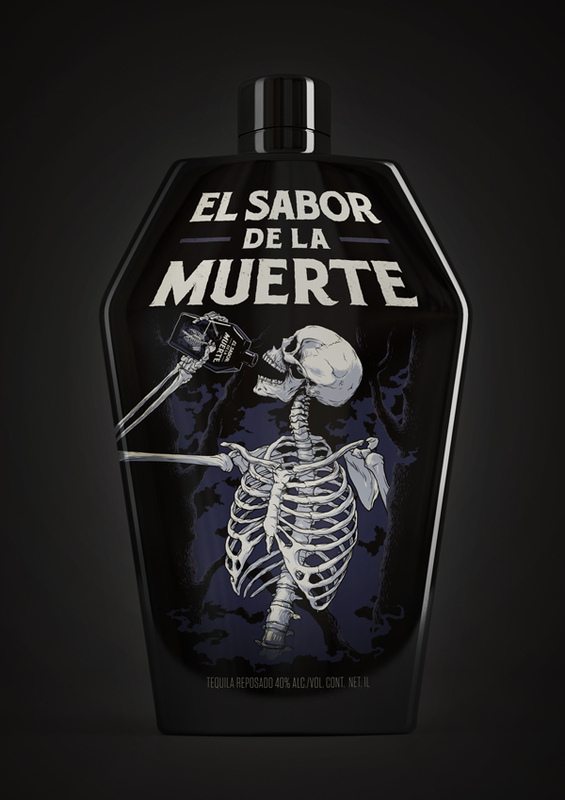 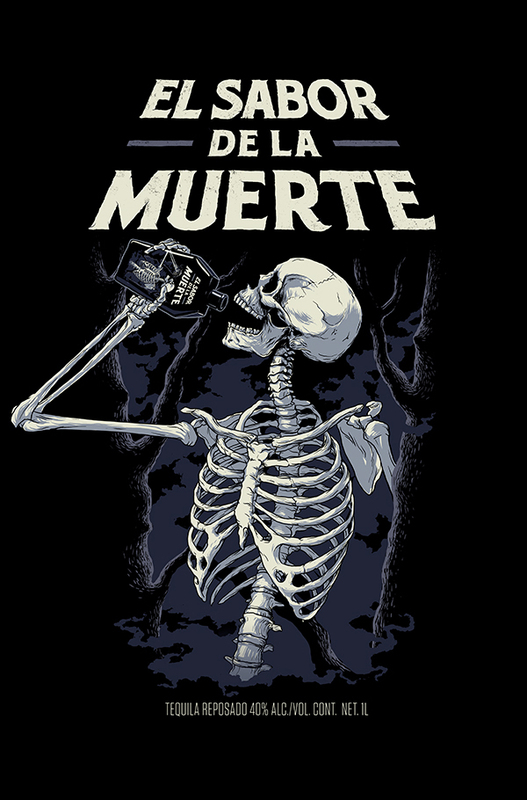 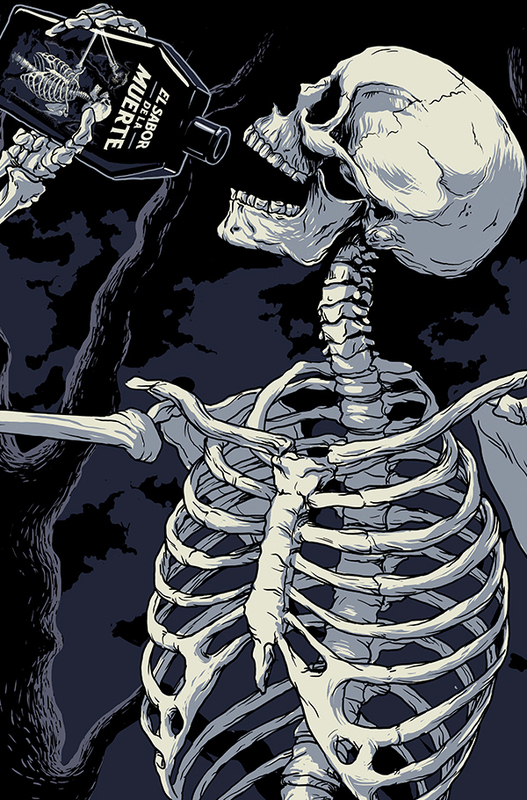 Conceptual tequila packaging for “El sabor de la muerte” or the taste of death, a dark tequila for the day of the dead. 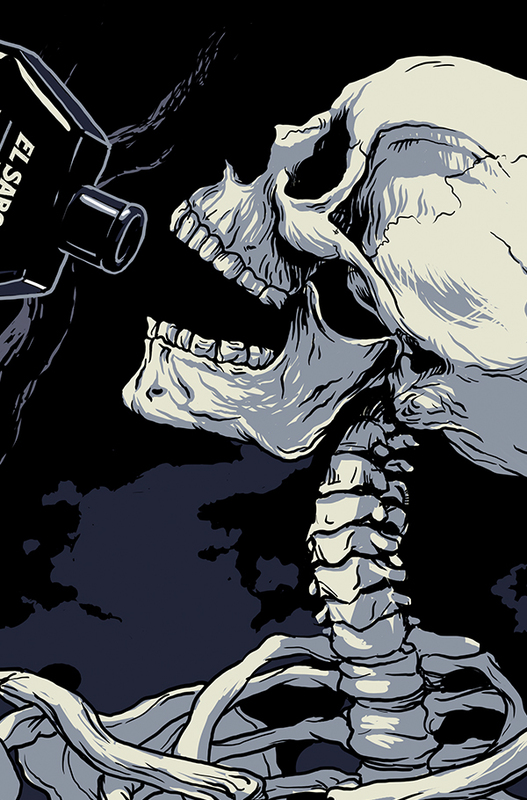 I drew the illustration in a mixture of mexican skeleton imagery, the classic 70′s italian horror posters, and comics. 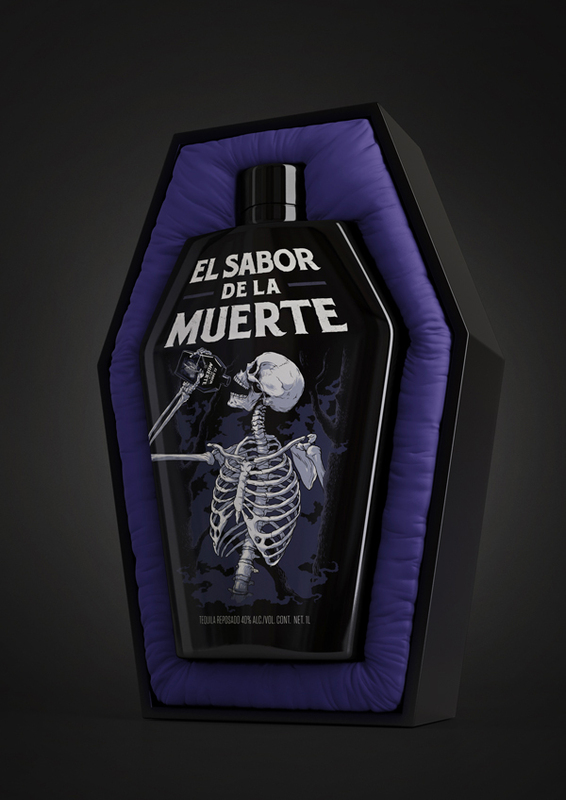 3d modeling by Adam Bernath.